Located a convenient 2 minutes away from the INOX Insignia multiplex, Vera hotels provide a good stay option in the heart of Gurugram. Sai ka angan temple, Purana Qila, Ghagadd Chattri and Butterfly Park Gurgaon are all within a 5-minute drive radius and markets like Banjara Market, Wazirabad Mandi, Peach Tree complex etc. are also in the vicinity. 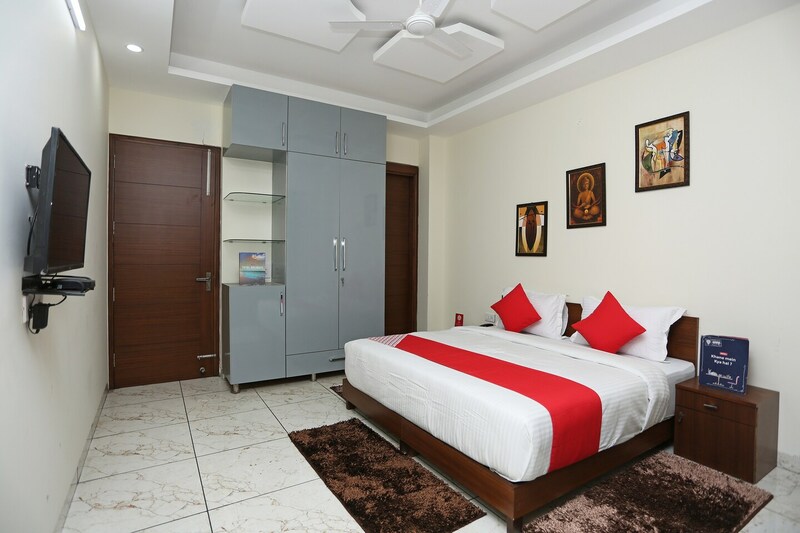 The layout of the hotel rooms is very neat and there is ample storage facility for each room for storing luggage. The room tariffs are great for the kind of property being offered. This property has amenities like free Wi-Fi, AC, TV, geyser, parking facility, power backup and laundry service for all rooms. They also have a kitchen, king sized beds and accept card payments too.